Use TigerChef Half Size Aluminum Foil Steam Table Pans in any commercial kitchen for food prep, baking, roasting or steaming your signature dishes. 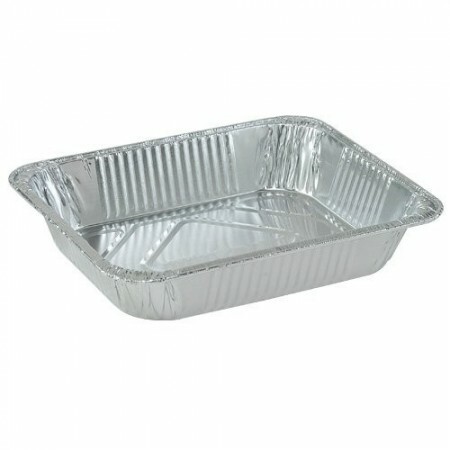 Durable and heavy duty, these aluminum foil pans can withstand high temperatures without warping, and can also be used to freeze and store food. Perfectly sized to fit into half size rectangular chafing dishes, these pans also make a nice presentation on the serving line and can be thrown into the recycle bin after use.